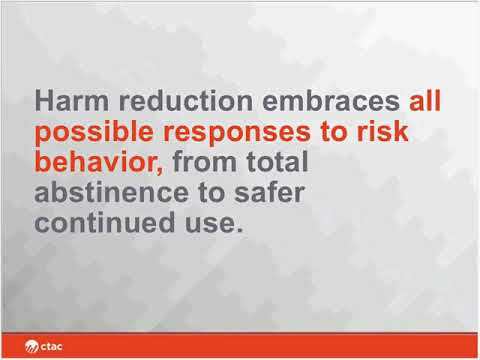 Harm reduction meets those who use substances where they’re at and incorporates a spectrum of strategies from safer use, to managed use to abstinence all the while addressing the use itself as well as conditions of use. Interventions and policies, grounded in harm reduction, are designed to serve drug users and often reflect specific individual and community needs. Discussing a harm reduction approach will be the focus of this webinar. Many programs today say they use a harm reduction approach. But what does “harm reduction” actually mean in most social service settings? Is it only about substance use, or can the principles be applied to other behaviors? What is the difference between a harm reduction philosophy and harm reduction programs? All of these questions will be answered and discussed in this webinar. Examples of harm reduction in various settings and with various populations will be discussed. Our presenters, Naomi Weinstein and Jenna Tine, will participate in a mutual discussion and dialogue about harm reduction and welcome participation from the audience.